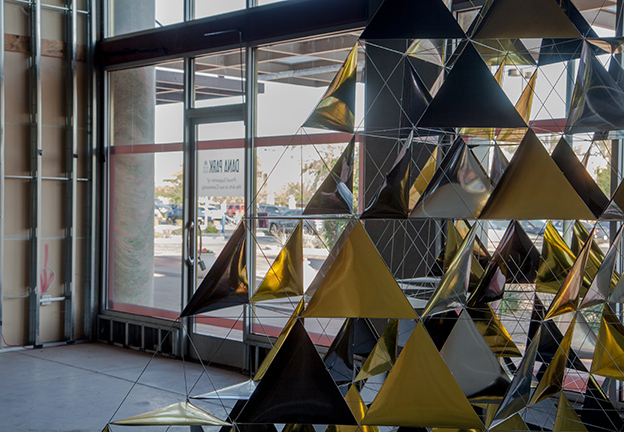 1652 S. Val Vista Dr.
Celestial Structures emulates the cosmos on a tangible scale through the interaction of space, light, and tetrahedral construction inspired by Alexander Graham Bell and Buckminster Fuller. 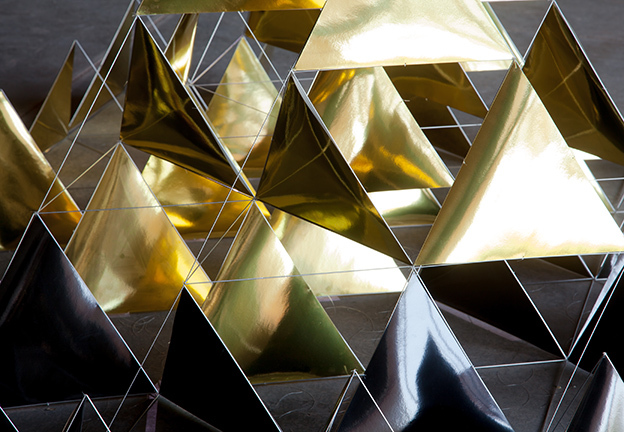 With motors and code, the space evolves using randomized functions to rotate three pyramid structures comprised of reflective material. 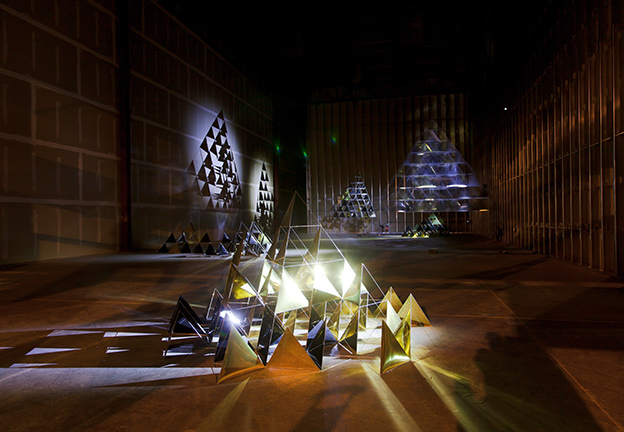 The interaction between the structures and light create a dynamic space similar to our vast universe. Matthew Briggs and Muharrem Yildirim began working with each other while studying in the school of Arts, Media + Engineering at ASU. Since then they have created many works using machines to engage communities with their local environment. 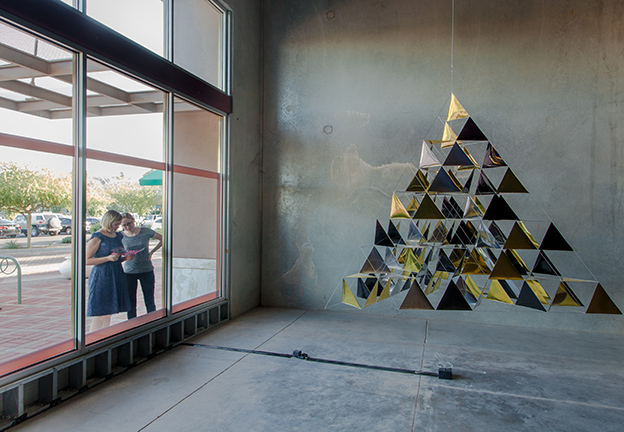 IN FLUX Cycle 4 brings together 11 organizations presenting 16 installations by local artists in 8 Valley cities and towns. 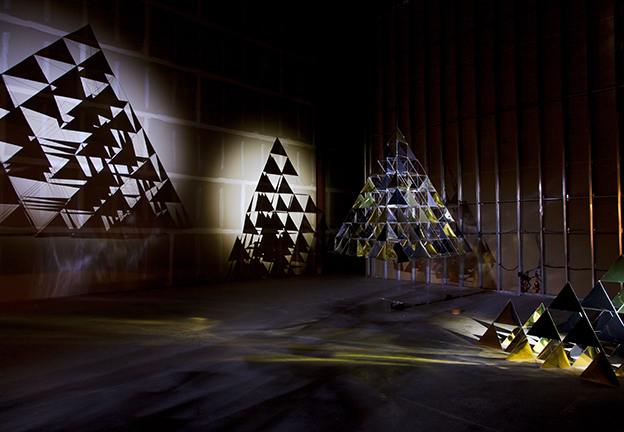 Artworks on view October 2013 – October 2014.